Winners will be able to choose either a hard copy or eBook edition. 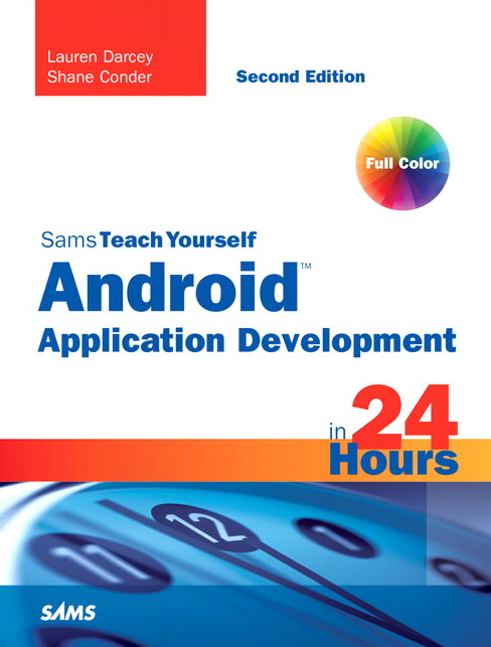 In the comments section below, (before you even get that far, PLEASE make sure you put a valid email address in the email field below the name field for your comment) tell us the why you want to learn how to develop Android apps using Sams Teach Yourself Android Application Development in 24 Hours. Be creative, funny, or silly - we'll randomly select ten entries as winners. This contest will run for 24 hours - meaning it will end at 2PM PST on December 18th, 2011.